What’s the deal if most of the snow is lost? Will it still run? I remember it got pretty bad (10 years - I think) ago, but can’t remember if they cancelled any or all of it. We mostly need thick ice and not deteriorating roads, not snow, although there should be enough of it no to go away entirely. I heard ice layer is not that thick this year. 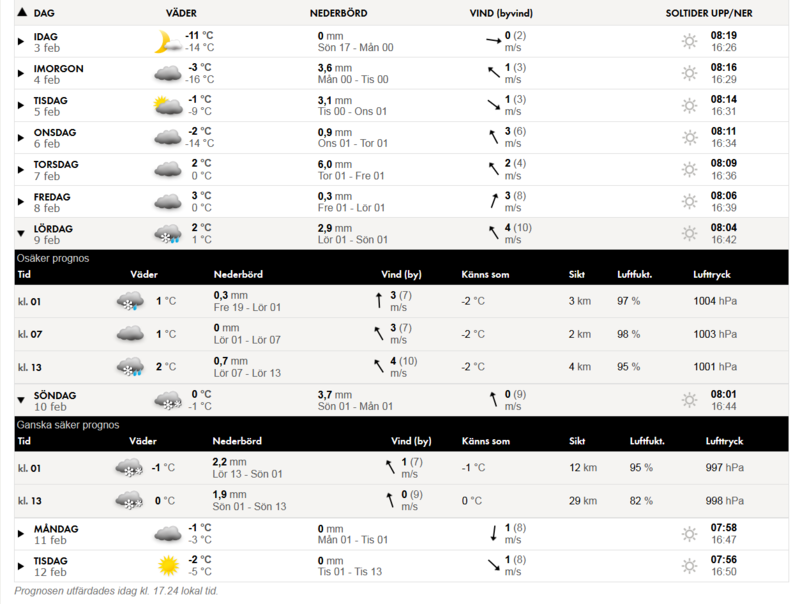 That is why its good to have plus degrees and a bit rain/wet snow, followed then by sufficient minus degrees. What’s the deal if most of the snow is lost? Will it still run? I remember it got pretty bad (10 years - I think) ago, but can’t remember if they cancelled any or all of it. Well lots of snow looks nice and provides great snow banks. However snow itself is quite loose and won't provide much grip or solid base layer. Ice is achieved by lots of snow that is compress by vehicles (temps around 0 required( and then freezing. Repeat that (cold weather and new snow then warmer weather for a few days followed by longer periods of colder weather) a few times and you will get very good conditions. However if it is too warm or just cold with powder snow the road conditions won't be good. Last edited by Tauri_J; 3rd February 2019 at 14:30. Last edited by Tarmop; 3rd February 2019 at 16:27. 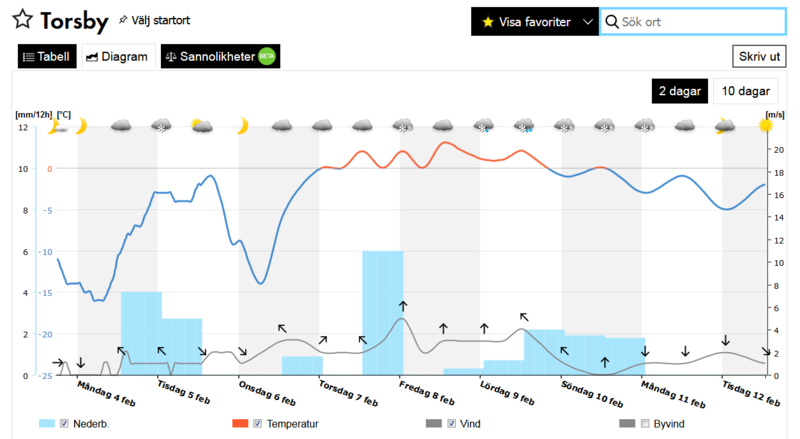 SMHI forecast: Looks really good. More snow followed by warmer weather with a little rain followed by more snow and colder weather.